Johan - Most Antarctic stations are quite dependent on fossil fuels and it's becoming more expensive to fuel stations - not only the fuel itself, but transporting the fuel to Antarctica. Secondly, governed by the Madrid protocol we're actually obliged to minimize the environmental footprints of stations in Antarctica. That's why we actually investigated the possibility and feasibility of sustainable energy sources of solar and especially wind, since Antarctica is one of the windiest places on Earth. We designed turbines specifically to harness the Antarctic wind which is quite extreme compared to other wind sites in the world. Meera - How did you set about designing this turbine for this particular environment? Johan - First of all, the most important obstacle is the low temperatures in which turbines should function. In that case, we spent some time selecting specific materials that can cope in the low temperatures varying from +10 °C to -40 °C in the winter. So the steel we select has a high carbon content, we select the epoxy for blades that is also used in aircraft design and we kept the turbine itself as simple as possible, as robust as possible a design. Meaning, less parts, more reliability. Meera - And what about things like oil for, say, movements of the turbine blade? Johan - So the only thing we're actually using as a lubricant is a grease. This grease is food lubrication grease meaning it's also a biodegradable to some extent. It can cope with temperatures up to -50 °C. Meera - And how many of these turbines have you made so far? Johan - So far, we're testing a prototype. That is a 15-kilowatt machine. It has hub height of 12 meters, a rotor diameter of 7.2 meters. The blade itself is a black blade. It's a glass fibre epoxy blade and then the nacelle which is actually the interface between the rotor, the tower, and the tail vane is a steel structure. We didn't go for an active yaw system, the yaw system being the system that keeps the rotor in the wind. We went for a passive system just to eliminate the amount of parts needed and obviously, to make maintenance easier. The tower itself is a lattice structure, which obviously induces less snow accumulation than a tubular tower and the foundation is rock anchor foundation. Since we're limited in construction materials and a construction time that was the easier option. 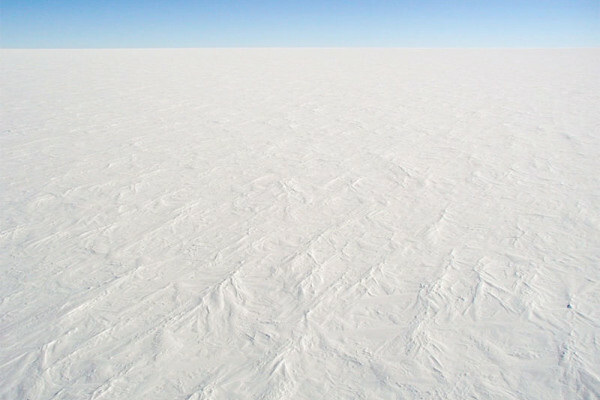 Meera - Just how windy is Antarctica? So what kind of wind speeds do you get there and are they quite predictable wind speeds? Are they constant or are they variable? Johan - Compared to other wind regimes in the world, Antarctica is known for its katabatic wind regime which is actually driven by cold air, like opening a fridge and when you feel the cold air rushing over your feet, that's the same principle, the same mechanism that's actually governing Antarctic winds. The wind is quite extreme. The highest wind speed that we've measured here at SANAP in the last 7 years was 52 metres/second at a height of 10 meters. Temperature-wise, the colder it gets, the more extreme the wind. At the moment today, the wind speed is around about 7 meters/second and the maximum temperature is -2°C. What is quite interesting when comparing Antarctic wind regimes to a normal wind regime is that it's quite constant throughout the year. At SANAP, it's around about 11 and 9 meters/second for at least 60% to 70% of the year. Meera - So what's the expected figures for the amount of power it's hoped to produce then? Johan - So far, we have converted about 100 kilowatt hours during the test and the capacity factor of the machine or the site is 80%, meaning it will operate at rated power for 80 percent of the time per year. The wind energy converted is estimated at being equivalent to 30,000 litres of diesel fuel. Meera - So how would the turbine work? Will it be running constantly and therefore, will it be actually creating power that can then be stored? Johan - There's no storage at the moment. Since this is such a small system compared to the diesel generator system we have, all power will be fed to the station. In days of excess wind where the power is not required it will be dumped in the snow smelter which actually provides the station with water. So there's no storage. All power will be fed to the grid. Meera - So in terms of the prototype, it seems to be working very successfully. So, if this continues, will you be scaling this up in the future for the site? Johan - After the end of this year, we will increase the amount of turbines. So we'll erect two more turbines then increase their total capacity to 45 kilowatts. Maybe in the future, if the foundation does allow it, we can change the generator or increase the capacity of the generator. Meera - And I guess that makes sense because a lot of the work actually taking place out in Antarctica is looking at the environment and the effects of things like climate change. So it make sense to make the site itself as efficient as possible, and therefore, not contribute to this in itself. Johan - Yes, saving diesel fuel and reducing emissions, increasing the autonomy of the base... That's the main aims. I mean, what's the point of doing research here while polluting? Kat - Absolutely. That was Johan Stander from the University of Stellenbosch who has now returned to a slightly warmer Cape Town from Antarctica, and he was talking to Meera Senthilingam. Just in case you're wondering how fast an average wind speed of around 9 to 11 meters/second is, that's about 25 miles an hour. That's a Gale force 6 or a strong wind on the Beaufort scale. Definitely what you'd call a wind chill factor! Thanks for the article. I wonder what the potential would be of harvesting wind in Antarctica on an industrial scale. Is this sacrilege?